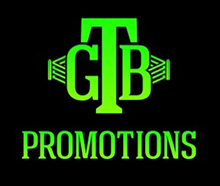 Tickets for the live event, which is promoted by Warriors Boxing and Star Boxing, are priced at $201, $101, $61 and $41, not including applicable service charges, and are on sale now. To charge by phone with a major credit card, call Ticketmaster at (800) 745-3000 or UIC Pavilion Box Office at (312) 413-5740. Tickets are also available at www.ticketmaster.com or by visiting the UIC Pavilion Box Office (Thursday or Friday9:00 a.m. - 4:00 p.m.).